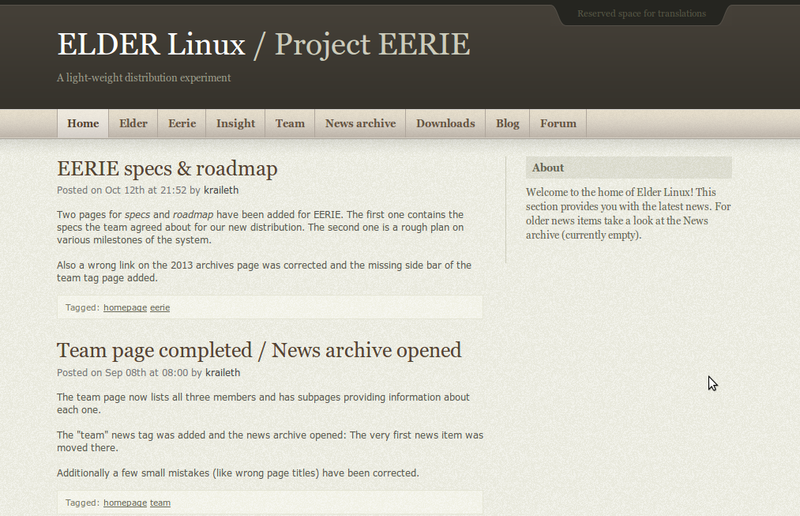 The first public Arch:e5 repository is available now! If you have no idea what E5 is, you may want to take a look at the post Announcing Arch:E5! first. About one month passed and I just made the skel (or “skeleton”) repository available. It can be used to pacstrap a fairly minimal Arch:e5 installation. I’ll describe how to do that in a minute, but first a few words about what this actually is. Arch uses a rather simple repository layout: The most important packages are in core and everything else is in extra. Packages not officially maintained by the project can probably be found in community. Disregarding a few special things this is already it. While a “base” install of Arch is quite small compared to most well-known distros, it still pulls in quite a few things you might not want to have. Right, you can easily uninstall packages later. Or you could do without the “pacstrap” script and make use of pacman’s group feature. But using pacstrap is simply a very convenient way of installing Arch. Now the idea is to allow for an installation that can be customized even more than Arch’s right from the beginning and thus split core into two repositories: skel and default. The former consists of everything absolutely necessary to get an Arch-based system up and running while the later holds the default packages that make the system actually useful. Why would one do that split? Well, imagine you have a very specific idea of what your system should be. Perhaps you are an vi user. For what reason should nano even be installed at all? Or you don’t intend on using systemd. Why put it on your system in the first place? Just pacstrapping the skeleton of your system together with what you actually want is a pretty obvious and comfortable solution. E5 brings back one of the strong points of the classical Arch: rc.conf! Right now skel contains all the packages which are in the “mini” group – 59 packages to be precise. I intend to put some more work into it to break it down to 50 packages at most (or rather: as few as possible). Some packages like the bootloader (syslinux) or the init-system (runit) are likely to be moved to the repository default in the future when E5 begins to offer alternative choices. Decreasing the number of packages could also be done by replacing some of them with others that have fewer dependencies. Warning: This ist just a preview. The system you’ll end up with is not of much use on its own at this time. It doesn’t come with dhcp. It doesn’t have a package manager. It doesn’t even provide an editor. If you want anything more than the bare skeleton, pacstrap it on top of E5 (from the Arch repositories) after the initial pacstrap is complete! As you can see, installing Arch:e5 is rather simple. Just boot from an Arch Linux live medium and make some changes to the /etc/pacman.conf file. 1. Comment out any Arch Linux repositories. 3. 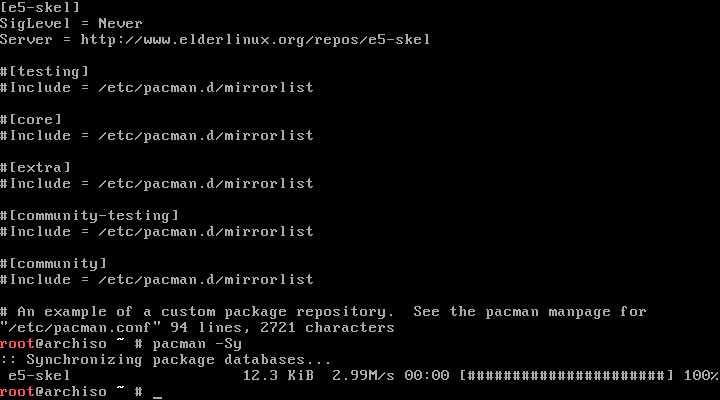 Once you saved the changes, you can check if pacman can read the package database using pacman -Sy. This is optional, of course, since the pacstrap script updates the db anyways. Create and format your partitions, mount them and finally pacstrap the group mini instead of base. Then use genfstab and reboot. That’s it. If you follow the default partition layout, there’s no need to chroot to the environment since syslinux is installed automatically. I’ll definitely continue working on E5. My next goal is currently to prepare and publish the default repository. Happy new year 2014 everybody! For me the second blogging year has passed and the third one stands at the door. A good opportunity to look back at what 2013 brought! Last year went by quickly from my perspective. This was due to huge and time-consuming changes in my life. 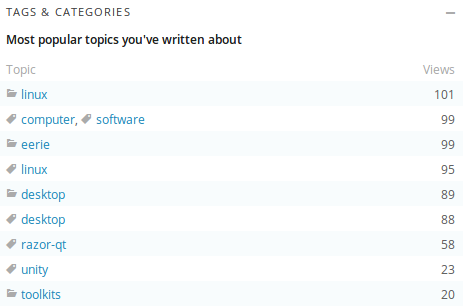 Still I managed to publish 22 posts in the last 12 month – probably not too bad. While I had intended to simply continue with the toolkit specific application tests, I chose to open up the blog for more diverse topics. The blogging year started with a series of memory consumption tests of various Qt-based applications. Following Canonical’s announcement of Mir I simply had to write about the Linux desktop again. Next was an interesting interview with the developer of the FLTK-based Equinox Desktop Environment, just before the Blog’s first birthday post. The second half of the year started with the first GTK+ application tests. 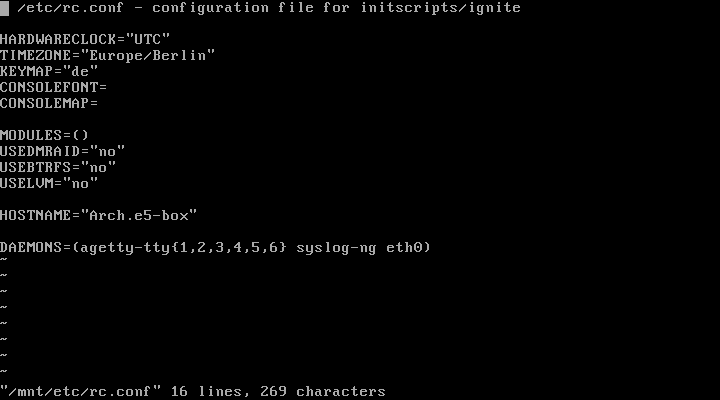 Since there are just so many terminals around which are built upon this toolkit, this was quite a bit of work. For that reason I decided to postpone further GTK+ application tests – and in fact I haven’t had the time for them up to now! An American programmer got in touch with me and we soon agreed to work together on some projects. This was the initial spark for me to seriously start working on an experimental i586 distribution. Due to it progressing nicely, I registered the domain elderlinux.org which is meant to be the future home of various things related to distribution creation. I hadn’t written any html for more than 10 years and it took me quite some effort to come up with something that doesn’t instantly make your eyes bleed. Unfortunately I don’t have the time to update the page regularly. I had used ConnochaetOS in the past and was a bit sad to see it shut down. Since I was building an Arch-inspired i586 distro, too, I decided to blog about it before it would vanish. Development of that distribution effectively stopped in 2011 and A LOT has happened since then in the rolling-release world of Arch. This made a journey possible which was more like a time-travel. In a series of three posts I described how such an old system could be (partially) updated to meet today’s standards. I had actually also updated the kernel, bootloader and made the switch from the old init-system to systemd in my VM, but I had forgotten to take screenshots and didn’t find the time to write another post about it, anyway. While the i586 distribution is generally in a pretty usable shape, the project has already become a bit too big. It currently has repositories worth of several GB of data – and I honestly have no idea how I could share this with others. I was playing around with several other things again, anyway. I decided to put this project on hold when I gave in to the idea of going just one step back: Building something that could be used together with a big distribution (Arch) instead of being completely incompatible with anything but itself. 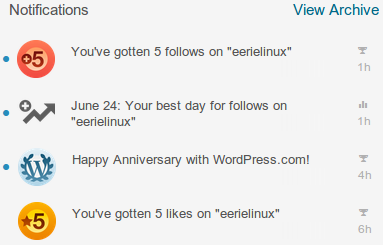 This eventually lead to the creation of Arch:E5 and the last blog post of last year. This kind of retrospect posts wouldn’t be complete without a bit of statistic, would it? So here it comes! Each and every month has surpassed the previous peeks by far. 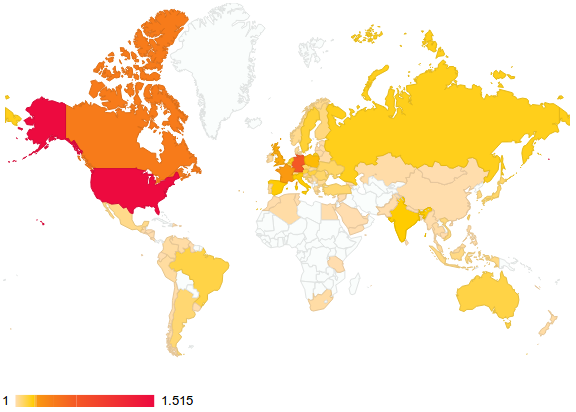 The blog had about 1.000 hits in 2012 – and even if you take into account that I didn’t start to blog before late June, the > 6.600 total hits of 2013 were simply amazing! The least successful month was January which just barely beat December 2012 with about 320 hits. There was one month (April) which scored a little lower and two which had significantly fewer hits than the previous month. The best one of the year was October with well over 750 hits! The new all-time peak of page hits occurred on 10/11 with 85 in one day! Due to the higher variety and new sub-projects some new tags have been added. However these were added to recently to carry much weight. 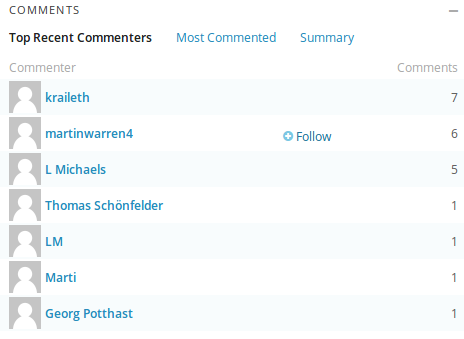 Now for some very pleasant changes: I finally started receiving the first comments which are not spam! 😉 And yes, I’m pretty happy about that. So what’s going to come this year? Well, who knows? Honestly: I don’t know. There are three things I intend to dedicate some time to: The GTK+ application tests, the Desktop Demo DVD and of course Arch:E5. But as the past year has shown there’s no chance to know before what exactly will happen. But that’s a good thing actually. So let’s just see what 2014 has in store for all of us!